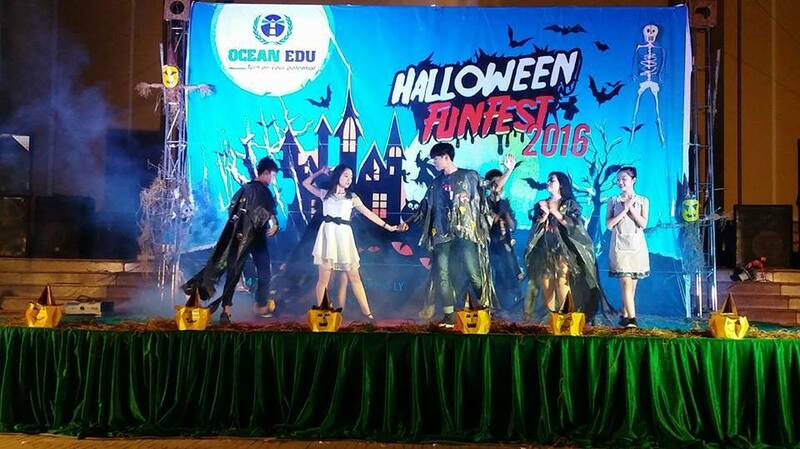 Ocean Edu Phu ly has organize the “Halloween Fun Fest 2016” at the cultural hall of Henan Province. 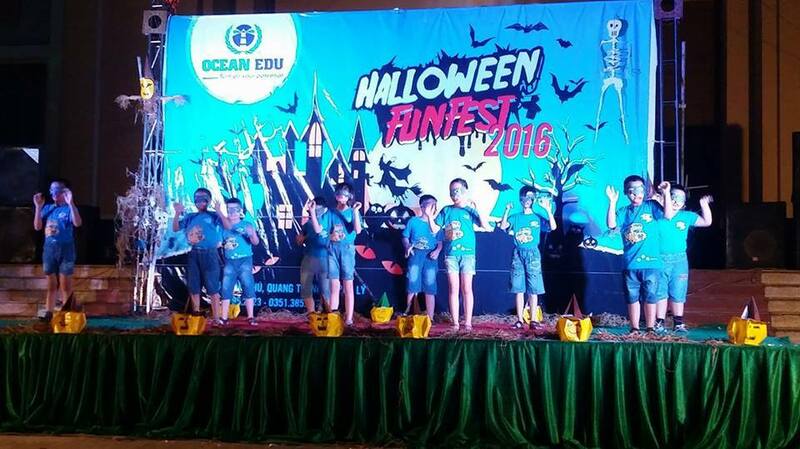 Ocean Edu welcome distinguished guests. 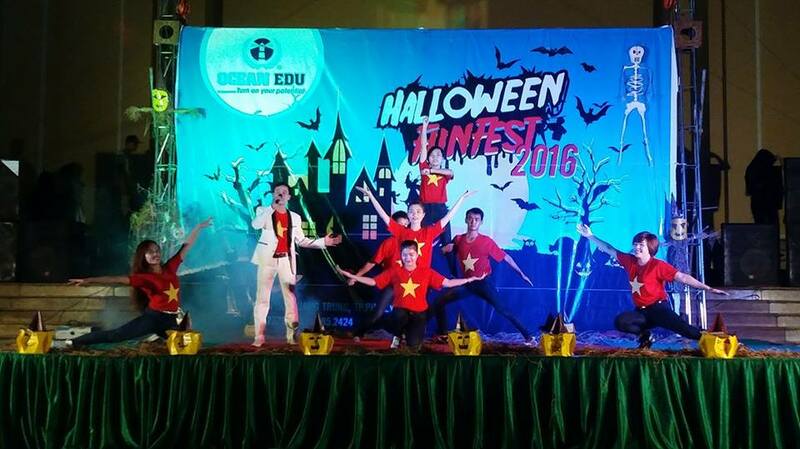 Dance Number for the opening of the event. Modern Dance presentation from young volunteers. 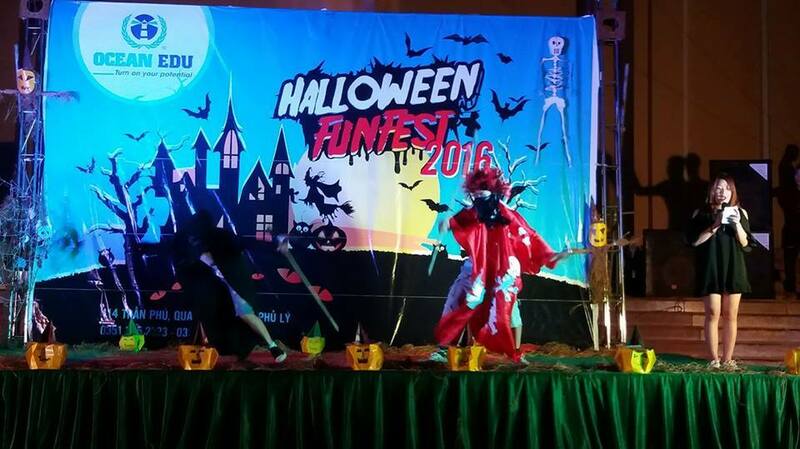 Unique presentation of halloween costumes from High School Students of Phu Ly making the event more exciting. 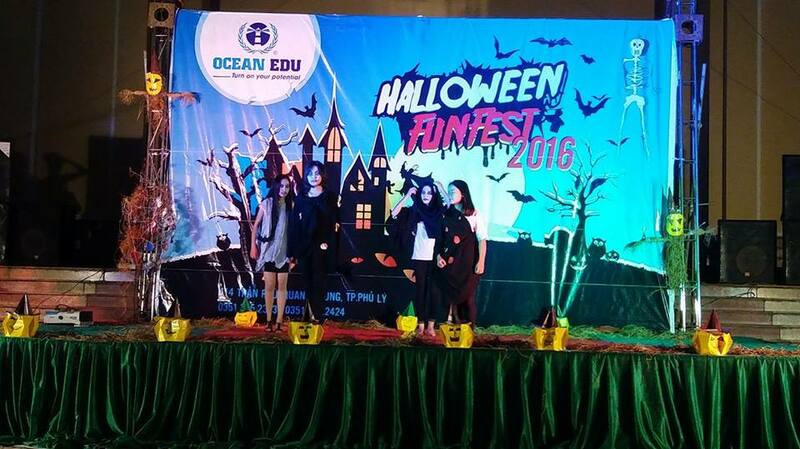 Ocean Edu Teachers also has their presentations for the event. 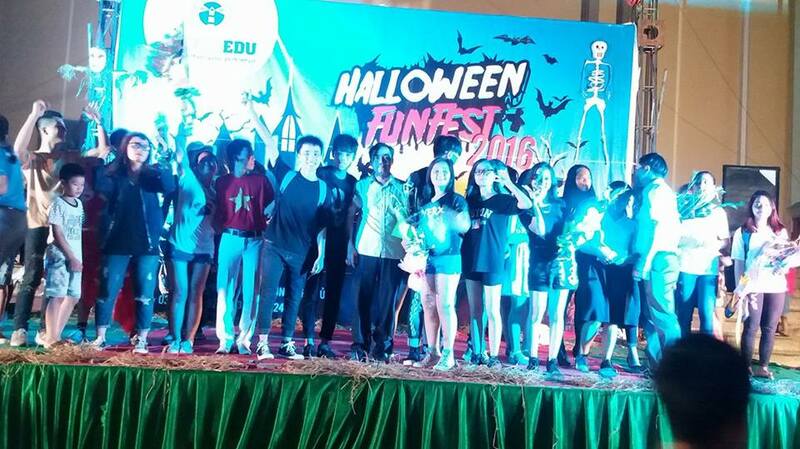 Valuable prizes were given to the lucky winners from the audience. 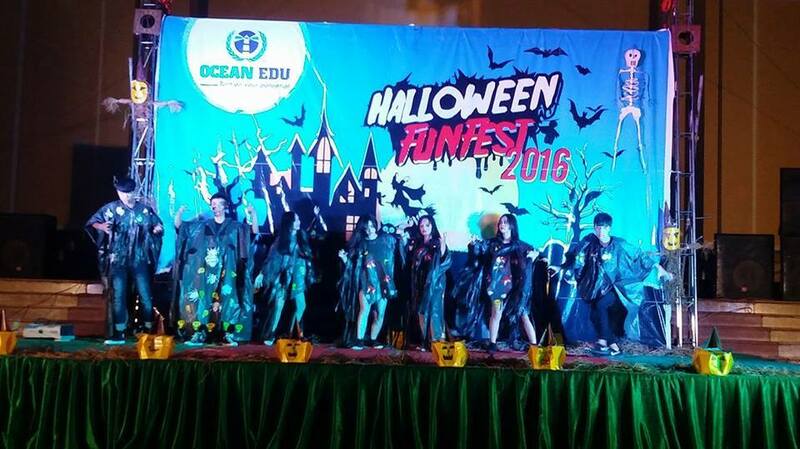 Musical presentation from Ocean edu students with the title "Love Between two worlds" a touching love story..
A game where you need to dress one of your team member as mummy , whoever's finish first will be declare as winner. 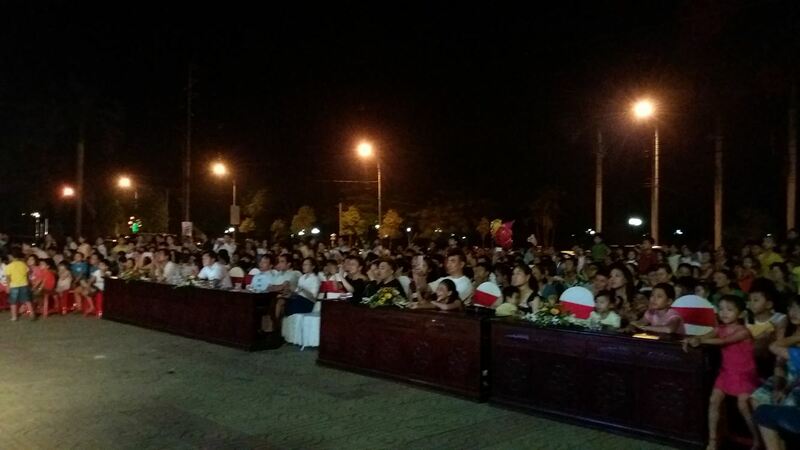 A very successful event that brough happiness and excitement to the people in Phu Ly. All preparations paid off. 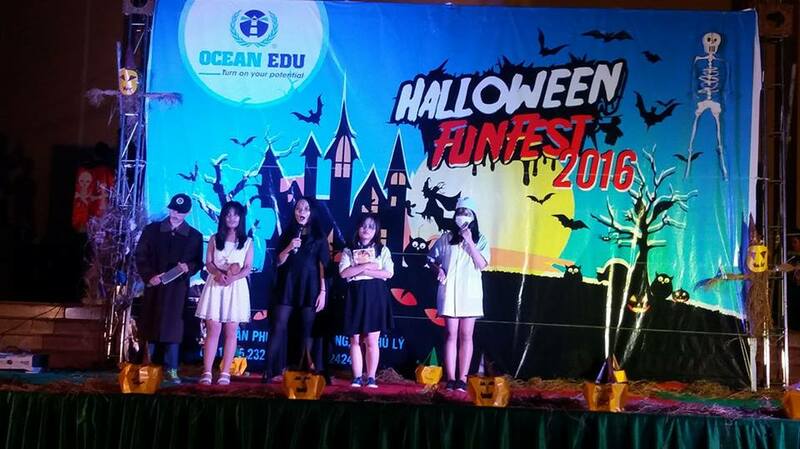 Ocean Edu Xuan Mai also celebrates Halloween Fun Fest 2016 in their center. 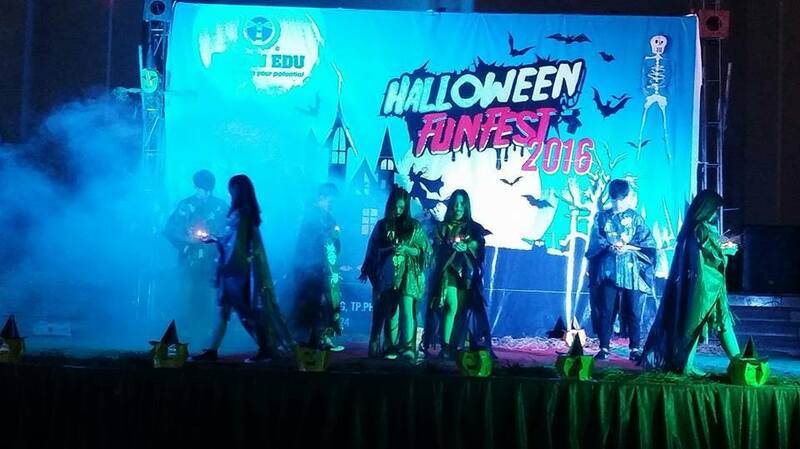 Students came very early in the venue just to prepare for their costumes. 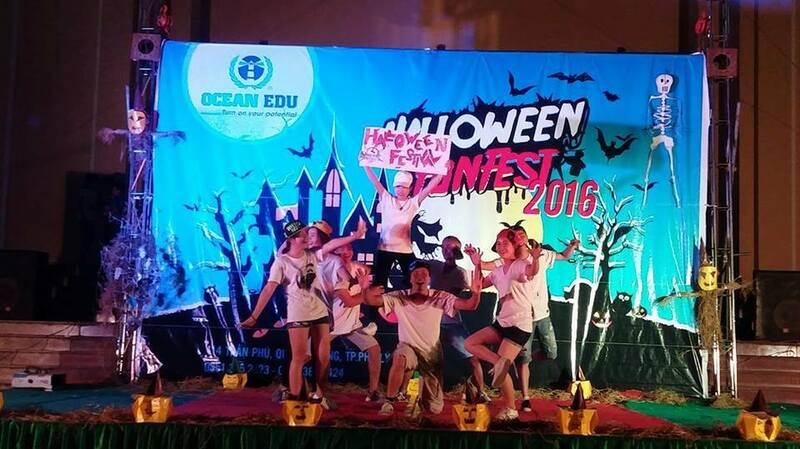 Opening FlashMobs with the Teacher and Kids. 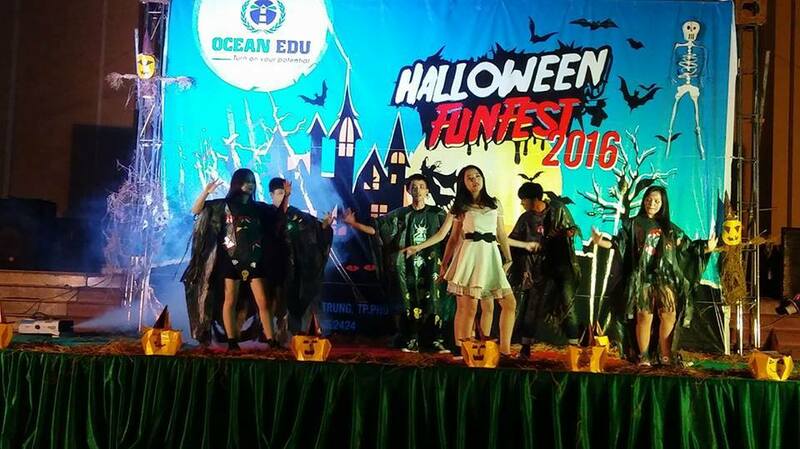 Fashion show from Ocean Edu students with their exciting costumes. 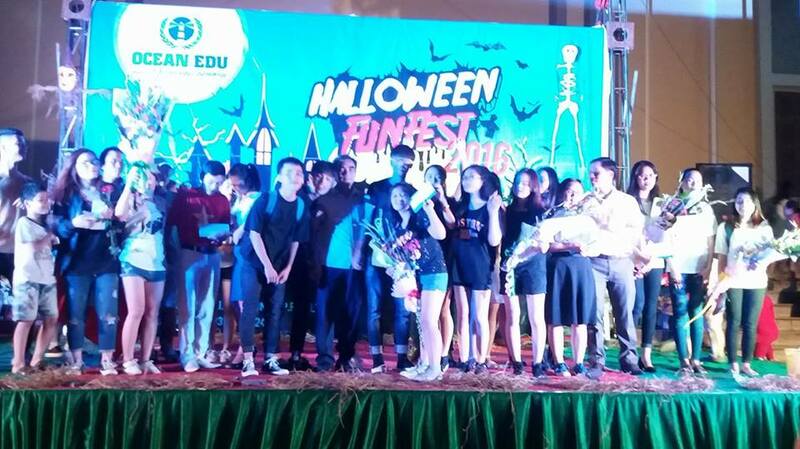 Giving of certificate for the deserving students. 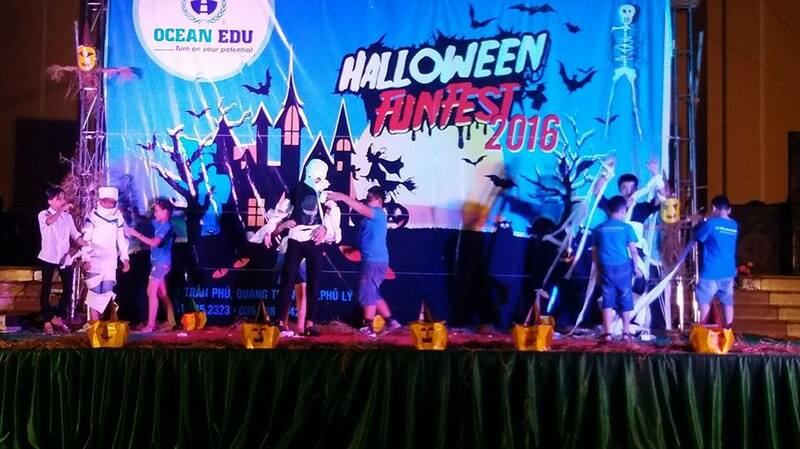 Kindy students dressed as chicken in their dance number "Chicken Dance"
A parent voluntarily participated in the event. 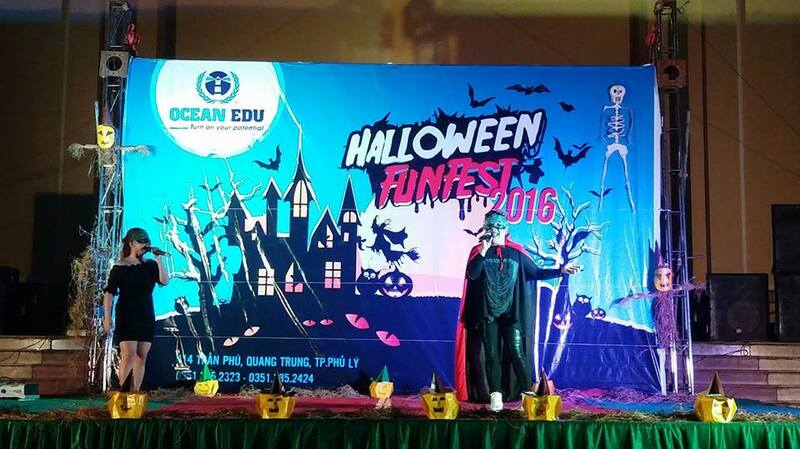 It was the first Halloween Celebration here in Ocean Edu Xuan Mai. 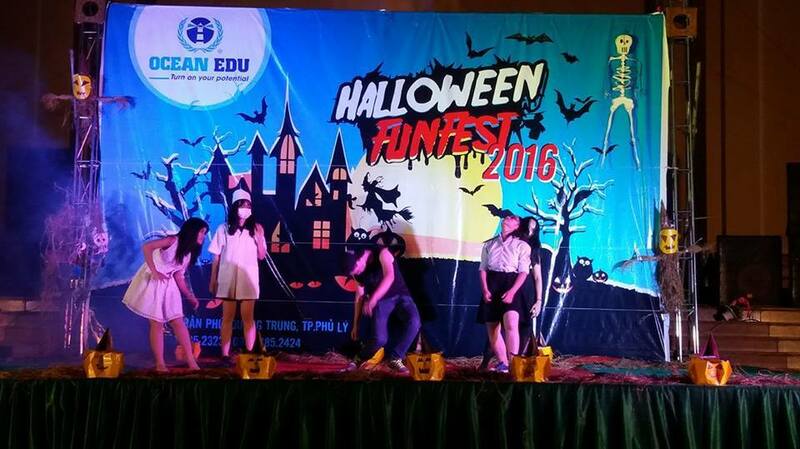 Indeed it was very successful and the students and teacher has a great experience. 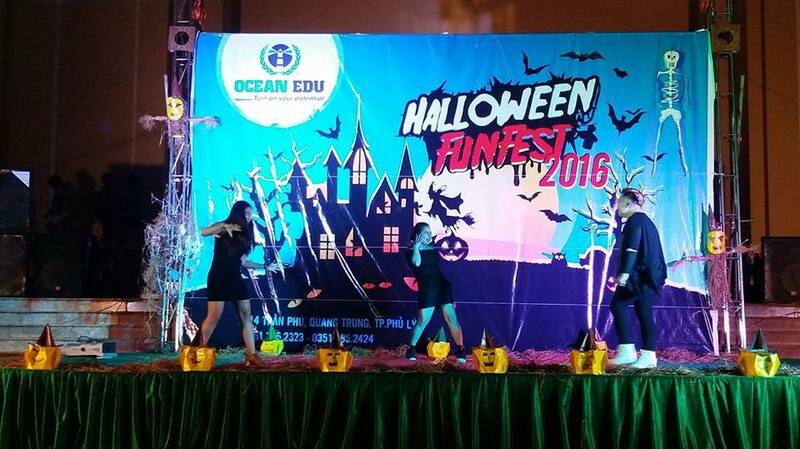 Join us now here at Ocean Edu Xuan Mai for more activities like this. 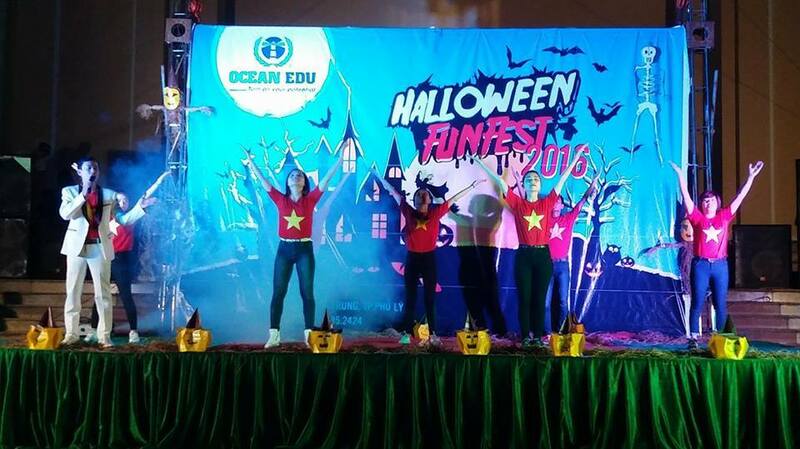 Ocean Edu Thai Nguyen also celebrates Halloween Fun Fest this year. Students and teachers prepare for their presentations. MC program to introduce the guests and the judges of the teams participating in the contest. 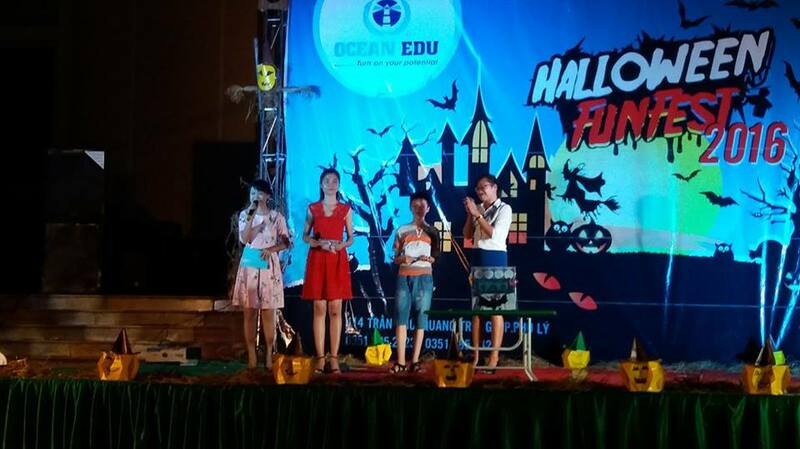 Singing performance from the youth Union Economic University and MBA Thai Nguyen opens the event. Next, Zombie Presentations entitled "The Salvaged Soul" extremely funny and exciting. The audience really enjoy the show. 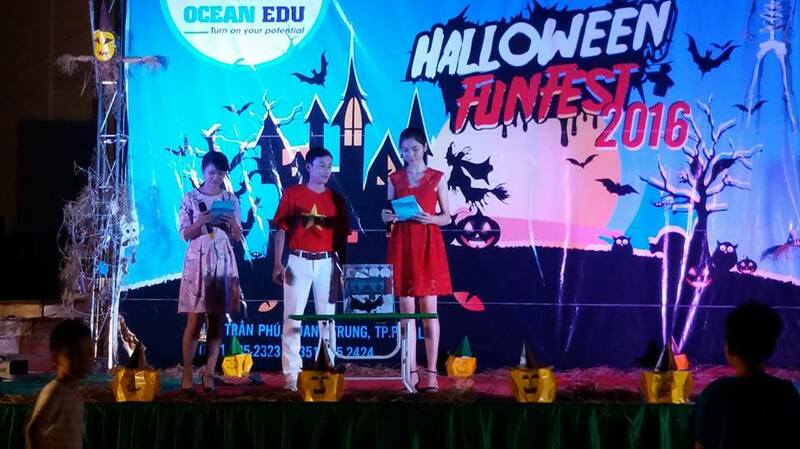 After the contest the audience were entertained with fashion show from students. 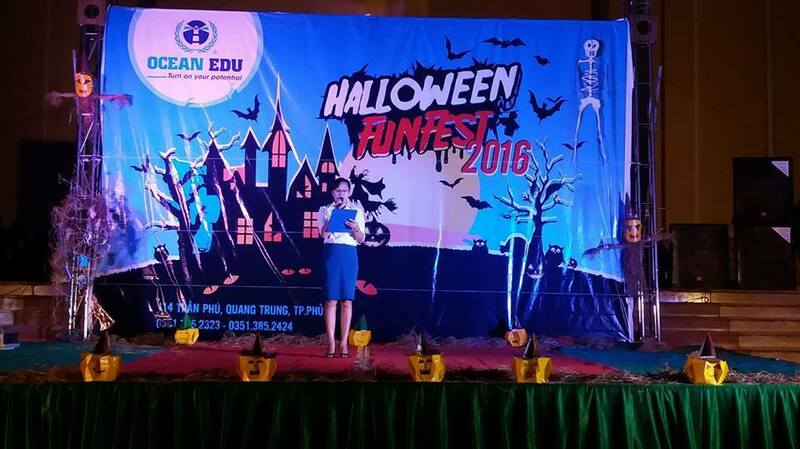 The lucky draw full scholarship worth 3.890.000d was fortunate to be given to you in the ABO - "Youth Volunteer Club Thai Nguyen"
2016 Halloween Celebration was very successful. Thank you delegates ,invited guest who participated in our event.